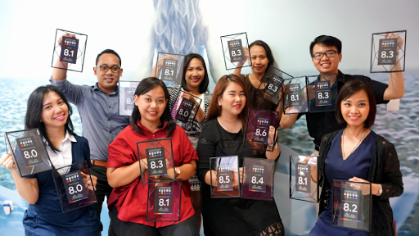 Indonesia, February 2019 – Archipelago International, a leading Indonesia-based hospitality management company, recently brought home an astounding 26 Customer Review Awards from Agoda - the world’s fastest-growing online travel booking platform. Agoda’s Customer Review Awards are given to its accommodation partners that go above and beyond the standard internet offering. Recipients were rated on the following criteria: consistently glowing customer reviews; competitive pricing in the marketplace; diligent utilization of Agoda’s custom-built YCS (Yield Control System); and a willingness to work with the agent to create faster, easier bookings worldwide. 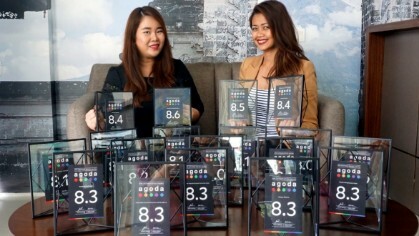 "We are extremely proud to be recognized in the top 2% of Agoda’s hotels and listings across Indonesia. It confirms that we are on the right track in meeting guests’ expectations, and it illustrates the continued support and hard work of our teams, from the leaders and corporate teams, to the hotel and hospitality staff. Those are indeed rewarding affirmations that our guests have enjoyed pleasant and comfortable stays in our hotels.” said Silvia Dwi Jayanti, Archipelago International’s Corporate Director of E-commerce and Distribution.